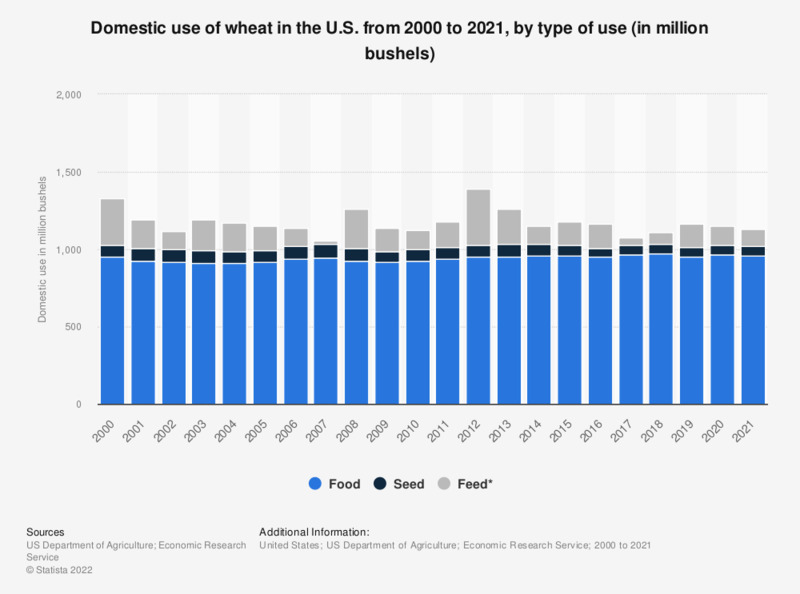 This statistic shows the total U.S. domestic use of wheat from 2000 to 2018, by type of use. Around 957 million bushels of wheat were used for food in 2015, while 67 million bushels were used as seed. * Approximates feed and residual use and includes negligible quantities used for distilled spirits.